To distinguish the different phases of enlargement that the EU has passed through, which countries have been involved in each phase and which countries are currently in the process of joining the EU. Which countries entered the EU in each of these phases and which are in the process of accession. To understand the requirements that states which are candidates for EU membership must meet. To know the main arguments in favour of and against joining the EU. UE. 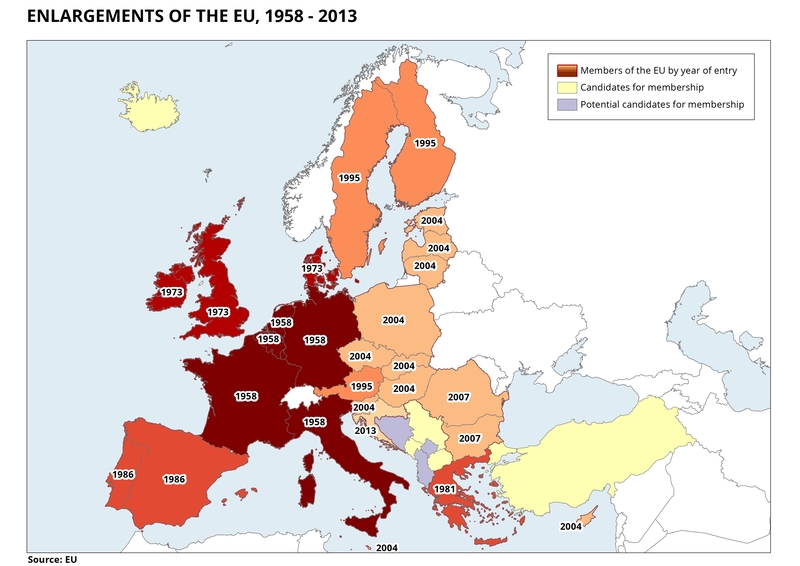 Since the initial nucleus of 6 countries (Italy, France, Germany, Belgium, the Netherlands and Luxemburg) was established, the number of European Union member states has progressively increased, with its membership reaching 28 countries with the incorporation of Croatia in 2013. 1973: United Kingdom, Ireland and Denmark. 1995: Austria, Finland and Sweden. Political: the existence of stable institutions that guarantee democracy, the rule of law, respect for human rights and the protection of minorities. Economic: the existence of a viable market economy with the capacity to resist competition and stand up to market forces within the EU. Legal (community acquis): this refers to assimilating EU legislation. They must also accept the EU objectives of political, economic and monetary union. To these three requirements, it is also necessary to add geography, in other words, forming part of the European continent. The unanimity of the member states is fundamental for deciding the entry of a candidate to form part of the EU. From a candidacy being accepted, which first requires complying with the political criteria of the EU, there is a long process of negotiations which finally leads to EU entry. 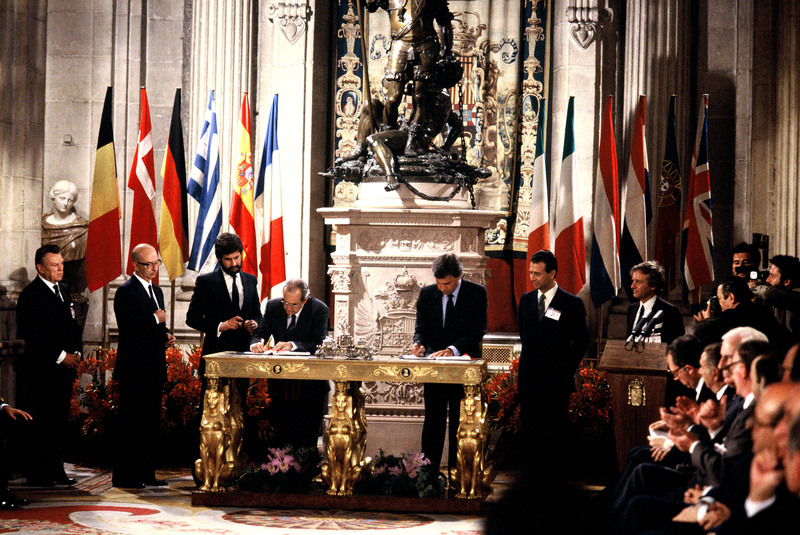 The extensions that saw the entry of Greece, Spain and Portugal and all of the countries from Central and Eastern Europe also represent the end of a process of transition towards democracy. To encourage students to take positions in a debate either in favour or against their country belonging to the EU.